I am a HUGE fan of Colleen Houck's Tiger's Saga so as you may expect from a fangirl, I am subscribed to her author and series facebook pages so I can receive updates. One of the most FAQ Colleen gets is "Where can I find the bonus materials and deleted scenes you have released for the Tiger's series?". I've collected quite a few of the bonus material as I have participated in the YA Scavenger Hunts and done my own digging, and after seeing request upon request by other fans, I'm now posting them on my blog! It's a lot easier than individually emailing you all when you make a request on Colleen's facebook pages. And in case you wondered, I have received permission to do so from the author herself. :) So here's the first one, and it's a BIG one. 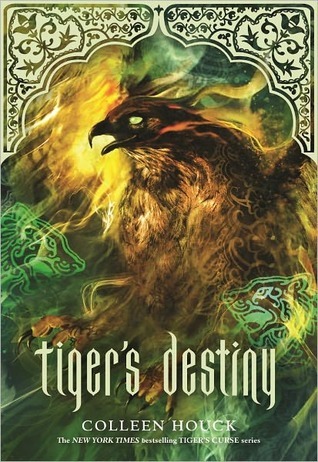 The ending to Tiger's Destiny went through two drafts before the final one was chosen by Colleen's publisher for the book. This is the ORIGINAL ending to Tiger's Destiny by Colleen Houck, which was released during the Spring 2013 YA Scavenger Hunt. The original ending gives us a great insight on some of the things we should expect to see in Tiger's Dream (Book #5)! 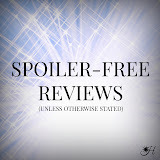 MAJOR SPOILERS for those who have NOT finished Tiger's Destiny, the fourth book of the Tiger's Saga by Colleen Houck. I highly advise you don't read this if you haven't finished TD. Wearily, I rubbed my eyes and fluffed the pillow behind my head. I heard Ren’s warm voice as he crooned to our newborn son in the next room. He was speaking to him softly in Hindi and though I still hadn’t mastered the language, I recognized the name Ren called our son—mera raja beta—which meant, my son the prince. I smiled and closed my eyes as I listened to him. The baby loved to hear Ren’s voice as much as I did and always watched his father with wide eyes when he read stories or poems. Ren had been in his senior year of college and was just a few weeks away from graduation when we found out I was going to have a baby. The night I told him the news, I’d made his favorite dinner and gave him a present—a children’s book about tigers. “No,” I replied with a grin. Interrupting him, I took his hand and slid it on top of my still flat belly. I pressed my hand over his and saw the moment when he understood. “Are you sure?” he asked tenderly. Ren pressed his forehead to mine and let out a relieved laugh. I wrapped my arms around his neck while he kissed my cheeks, my nose, and my forehead. When his lips found mine, I wasn’t sure if I should attribute the flutterings in my stomach to my new pregnancy or the fact that Ren was touching me. Now another year had gone by. Two since our wedding. We lived in a house that was way too large for our tiny family. It had been built according to Ren’s design on a wide plot of forested land up on our mountain where we’d once had a little duplex. Both of us had attended Western Oregon University with me graduating first because of his frequent absences. During the summer months I’d continued school while he flew back and forth between Oregon and India. While he worked with Nilima to learn all about the business of Rajaram Industries, I took every class available so I wouldn’t miss him but it never worked. Though we still had our divine connection and I could feel him even across the ocean, I still wanted him near. I’d call him just to hear his voice and cuddle my old stuffed tiger at night. In the last month of my pregnancy, he made arrangements with his instructors to take time off from studying for his Masters and negotiated with Nilima to be away from the business so he could spend time with me and the baby. Our little son had been born at home, home being a relative term, since Ren had brought in a team of specialists and had a wing of the house redesigned to look like a state-of-the-art birthing center. An Indian midwife was hired to work with me throughout my pregnancy and though we had doctors on call, she was the one who actually delivered our baby just after Christmas. Two months later we were celebrating Valentine’s Day. Ren had started the day off by bringing me breakfast in bed. He insisted on feeding me every single bite which was very romantic and then he left me to lounge while he took care of the baby. We were going out to dinner later and he’d arranged to have a sitter come to watch our son. I was nervous about it since it would be my first time away from him. My thoughts were interrupted when my gorgeous husband came into the room and gave me his special lopsided smile which still made my cheeks warm. The baby was fussy so Ren brought him over to me. I laid my newborn son on the bed and readjusted my grandmother’s quilt around his wiggling body. As I snuggled him in my arms and pressed my lips to the downy cap of black hair, Ren settled himself next to me and snuck his arm around my shoulders, pulling my head back against his chest. “Little baby, why aren’t you sleepy?” I asked my squirming bundle. Ren pressed his lips to my forehead and we both laughed when the baby’s little fists shot out of the blanket and he kicked hard. “What a feisty little man you are, Anik Kishan Rajaram.” After wrapping the quilt around him again, I leaned against Ren and yawned. “Maybe you should recite him a poem,” I suggested. He stroked the baby’s head and, with his arms cradling the both of us, began speaking in his soft, rhythmic, and still very hypnotic voice. Our baby Anik had stopped fussing completely. His little body was still and his eyes were wide open and focused on his father. Ren held out a finger and a tiny fist opened and teeny fingers latched on. As father and son looked into each other’s eyes a feeling of hushed enchantment swirled around us and I felt as if we were sitting in a mountain shrine. The silence was broken by a sniffle. I glanced up at Ren and found his beautiful cobalt blue eyes full of tears. He dashed them away with his free hand. I looked at my baby and touched my finger to his soft cheek. Moving his head, he jerked it towards my finger as if he were still hungry. He blinked and for a moment his bright golden eyes were hidden behind his almost translucent lids that were framed by thick dark eyelashes. “Are you disappointed that they aren’t blue like yours?” I queried hesitantly. “He never told me,” I whispered sadly. A chime sounded interrupting our reminiscing and Ren got up to answer the door while I put baby Anik in his crib. I climbed back into bed myself hoping for an afternoon nap but when Ren returned he brought in a stack of mail and a box. He rifled through the mail and handed me a fancy envelope. “It’s from Nilima,” he said. “Not unlike another woman I know,” he teased. “What?” Incredulous, I swung my legs over the side and sat next to him. Ren set the page aside and took out a heavy wooden box. The lock clicked open and he lifted the polished lid. Both of us stared at the contents. Ren lifted the tube of glass and found the scroll was perfectly encased as if the glass had been blown around it. There was no opening or way to remove the scroll without damaging the container. “I’ll have to break it,” Ren said. He held the cylinder inside the packaging box and I heard a snap and the tinkling of broken glass as it fell. Carefully, he shook the glass away from the ancient paper and set it between us. The sheets of thick parchment quickly began to yellow around the edges. I took hold of one wooden roller while Ren took the other and we spread out the pages on the bed between us. “Is that Sanskrit?” I asked. “And this?” I pointed to the bottom. I bit my lip as Ren rolled the completed section and then we both held our breath as he revealed the next portion. A heavy wax insignia was the first thing we saw. Ren trailed his fingers over it. “It’s my family seal. The house of Rajaram,” he said excitedly. Smoothing the paper flat for him, I watched intently as he ran his fingertip lightly over the words. After reading a section to himself, he sat back with a look of shock. He paled and reached for my hand. Ren adjusted the document over his lap and began to read. I apologize for corresponding in such a dramatic fashion but I couldn’t risk either of you reading this before certain events had been set in motion. I wouldn’t have written at all except that I wanted to dispel any worries either of you might retain over my decision to stay in the past. After you left, Durga and Damon spent many years serving all manner of people. We built a home high in the clouds on the rocky slope of Mount Kailash. Durga used the power of the Pearl Necklace to feed pure healing water to the five rivers of Asia—the Indus, the Sutlej, the Brahmaputra, the Karnali, and the Ganges. Our home was considered sacred to five world religions—Hinduism, Buddhism, Jainism, Ayyavazhi, and the Bön and many made pilgrimages to worship Durga at the mountain base. Any who attempted to climb up to our home were dispelled quickly and soon word spread that the gods protected their home and all attempts to reach us ceased. In the beginning we would descend on a cloud daily to serve as arbitrators in settling disputes for the people. Anamika would bestow gifts of food, clothing, and healing. If a supplicant came and told of famine or drought, we would use the Rope of Fire to travel quickly to those locations and resolve the issue. We refused to side in wars but to the innocent Durga was a kind and benevolent goddess. Anamika and I formed a bond of friendship and respect that led to love. We were married and had many children and grandchildren. We didn’t age and as our posterity made their way in the world, we kept vigil on our mountainside and watched the decades pass. Eventually, the acolytes grew fewer in number and we knew that Durga and her powers were no longer needed. We left our home and traveled, secretly helping people when we saw a need. The peoples of Asia thrived under her hands. She inspired artists, poets, political reform, religion, and social harmony. I am proud to have served as her companion and I am blessed that she agreed to be my wife. We have had a very long and a happy life and it would have been wrong for me to leave you thinking that I was miserable or disappointed with the choice I made. It took me some time to learn to live without you, Kelsey, and I’ll admit that there were many times I cursed my decision to stay behind, but destiny treated me well and I have a family and a life that has enriched me and made me a better man. Speaking of family, Phet informed me that I am my own ancestor. One of my descendants was my great, great, great grandfather which means your baby gets his eyes from me. I’m sorry I kept that from you, bilauta. Ren, forgive me for my jealous impetuous youth. Whatever good I have done in the world, whatever strides I have made as a man, it was because I was able to look to my brother for an example. For what it’s worth, you would have made a great king. I know you are a good husband and will be an excellent father. Congratulations on the birth of your first born son. Fatherhood is an experience unlike anything else. Treasure your time with your family for the days pass quickly. Kelsey, there is still a piece of my heart that belongs to you. I have cherished it all these centuries. You were the angel that saved me from a life squandered and your influence has impacted me in more ways than you know. The warmth, kindness, and love you offered when you decided to save two lost tigers changed the course of my life. A happy ending was promised and a happy ending was delivered. Every single day my heart swells with gratitude for you. If there is one regret that I have, it’s that I wish I could pass through the long centuries with you. I miss you both, but I know that your lives will be full and rich. May your love for one another continue to grow and may you find joy in the life you build together. Perhaps in another time and another place we will meet again. A tear trickled down my cheek. Ren let go of the scroll and the curved pages twisted loosely back together. He put his arm around me and pulled me close, cuddling me against his chest. As if knowing we were sad, little Anik, uncle Kishan’s namesake, let out a heart wrenching wail. I laughed and wiped my eyes. “I’d say he’s got a pretty good roar, wouldn’t you?” I asked. I was chatting with Sarah and Jennifer as we sat on a park bench watching the children play. It was Anik’s fifth birthday party and Ren was late. He’d insisted that he be there for the birthday cake so we were killing time until he arrived by letting the kids loose on the playground. Rebecca was being a good “auntie” even though she was only fifteen and was helping keep watch on the kids. Anik climbed the slide again and again squealing with happiness as she held her hands out to catch him below. I glanced at my watch and caught my two year old daughter dipping her fingers into Anik’s jungle themed cake. Her beautiful blue eyes rimmed with long black lashes filled with tears. “Tiger,” she mumbled again as I cleaned her fingers and smoothed the silky black hair away from her forehead. She sucked on her fingers and leaned into me sniffling. I thought my son was a handsome boy with his black hair and golden eyes but my daughter was breathtaking. She was just a tiny bit spoiled thanks to her doting father but she was a sweet little girl with the loveliest hair that hung in soft curls past her waist. I’d already had to cut it though Ren hotly protested. I glanced up and saw an older couple talking to Anik under the shade of a large willow tree. The woman wore a beautiful green sari and her dark hair streaked with grey was tied loosely and hung over one shoulder. Crouching in front of my son and patting his arm, she smiled as she spoke to him. I wondered for a moment if they were some of Nilima’s relatives. Settling my daughter on my hip, and pulling my braid to the other side so my daughter wouldn’t pull out the ribbon, I headed over to them. I’d only made it half way when the man who was laughing with my son looked up. The man smiled at me and I froze in my tracks. My heart stopped beating. He wore a loose tunic and pants in his signature black. Lines rimmed his golden eyes and his dark hair was shot with grey but he was just as handsome as I remembered. The woman looked up and smiled at me. Both of them nodded and then the man took the hand of the woman beside him and they both turned away. They stepped into the shadow of the tree and vanished. Rushing forward, I called out but, like a candle that had been recently snuffed out, only the warm scent of jasmine and sandalwood remained behind and even that was quickly lost in the breeze. I circled the tree frantically and then crouched in front of my son. With a final glance at the tree, I headed back to the party. Ren had just arrived and came towards me. He saw my expression and knew immediately that something was wrong. Little Kamala lifted her hands up to Ren. “Hello, my priya,” he said as he kissed her forehead and took her from me, “Why is mommy sad?” he asked. Ren nodded, waiting for me to continue but my throat closed up so instead I took his hand and placed the carved rectangular stone in his hand. Ren sucked in a breath. “Pretty!” Kamala said again and stretched out her little fingers to trace the lotus flower and the carved words on the Seal of the Rajaram Empire. It had been lost for years. No one knew where Mr. Kadam had stored it but here it was delivered to us again by our brother and his wife. As my daughter touched the words engraved on the side I knew that the Seal had never been truly lost. It had been guarded for centuries by the true Father of the House of Rajaram—our beloved brother, our loyal friend, and our forefather—a man who was the embodiment of what Seal represented. Edit: The second Tiger's Curse Saga bonus material is now up! Click HERE to read a passage from Ren's POV. Okay - I haven't read this series yet (so I didn't read the ending), but now I think I have to because I just think that it is SO cool that you have an alternate ending here and I really want to know what it is!! Is that the silliest reason for reading a series you've ever heard? (Okay, I'm also influenced by the fact that you loved this series enough to do all this digging as well). I'll be adding this to my TBR list and trying to read it sooner rather than later! No, not at all! I can definitely see the intrigue in it. :) If you read it, I really hope you love it! I know we aren't always on the same page with our books, but I truly do love this author. Colleen Houck just puts so much research into her books and it clearly shows as I read them. This series incorporates adventure, romance, mythology, magic, and religion which was really cool! And it's definitely swoon-worthy. ;) The complaints I've heard about the series is that the heroine is silly/frustrating/too insecure. Which, her thought process on love IS frustrating, but it's who she is/how she thinks, so I never had a huge complaint against her. It was just part of the story, part of how the story moved along. You said that this is the first one.... will you post the another story later? Oh my gosh... That was beautiful. It wasn't really even an alternate ending. It was kind of like an afterthought, which ties it in wonderfully to the published series. Ah! The writing prowess of Colleen Houck! It wasn't an alternate ending but the original ending so it went through two edits and was cut back for the published ending! :) But I know what you mean! So beautiful and this gives us a wonderful peek into Tiger's Dream! Thanks for visiting!